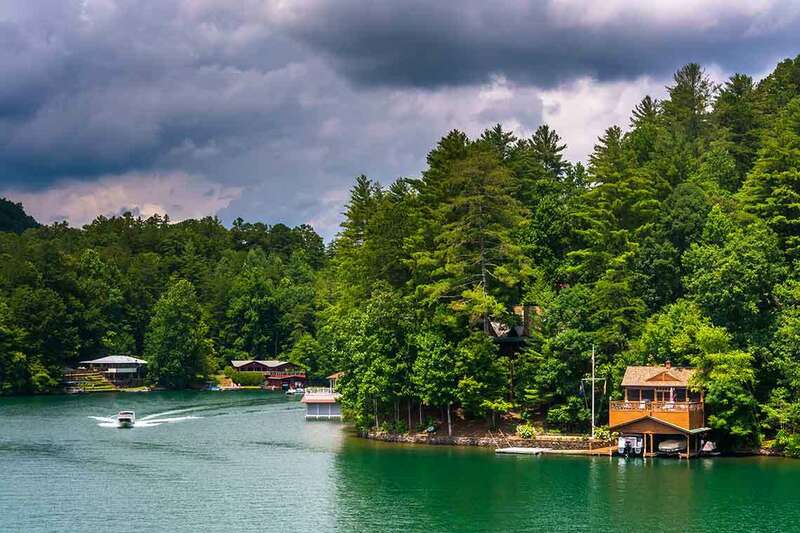 A boating trip north of Atlanta ended in tragedy recently, when a passenger on a pontoon boat fell into the waters of Lake Lanier and disappeared on Saturday. The pontoon boat’s operator was charged with boating under the influence. These and other incidents on the water don’t have to happen this way. By following some boating safety tips, people can not only make boating safer but they can also make it more enjoyable. The Georgia Department of Natural Resources is continuing the search for the missing man and is expected to conduct an investigation. This incident is one of many recorded on Lake Lanier in the past five years due to the lake’s popularity in the summer. It is also a stark reminder that greater awareness of basic lake safety tips and protocol is necessary to prevent another tragedy. Here are five things to never do while boating on any of Georgia’s beautiful lakes. Although boating is commonly associated parties and relaxation, boat owners should never operate their boating vehicles under the influence of alcohol or other substances. Georgia updated its boating regulation laws in 2013 to mirror the state’s DUI law, to specify that boaters cannot drive with a blood-alcohol concentration higher than 0.08 percent. This is to ensure that boaters both operate their vehicle in a safe manner and and are capable of performing their duties to care for their passengers. Life jackets are essential for both ocean and lake boating. Nearly all boating-related deaths are a result of drowning, and these deaths could have been prevented if the victim had worn a life jacket, according to the National Safe Boating Council. Boat operators should make sure that all passengers are wearing their life jackets, which should fit properly and be U.S. Coast Guard-approved. Although many consider it thrilling to ride on the bow or gunwale, boat owners are responsible for ensuring their passengers always stay behind protective railing while the boat is being operator. Passengers can slip and fall if they’re not behind the railing, and if these passengers aren’t wearing life jackets, they can easily drown in deeper lake waters. It’s fun to invite family and friends aboard your boat for a fun weekend along the water, but it’s important to always be mindful of a boat’s passenger limit for everyone’s safety. Each boat has a capacity plate, near the boat operator position, with the exact maximum passengers or maximum weight capacity listed. Overloading your boat can put the boat at risk of swamping and capsizing, but it also makes the boat more difficult to control, increasing the likelihood of a boating accident. Georgia boating regulations stipulate that all boating vehicles must restrict their speed to idling speed while within 100 feet of any dock or wharf. This rule is commonly violated by boat and watercraft operators on Georgia waters, according to the Georgia Department of Natural Resources. Boaters should be cautious on more open waters as well. While there is no speed limit on Lake Lanier, as seen in another recent accident on the lake involving speeding, boaters should never operate their vehicle at a speed that could harm others. Have you or someone you love been harmed in a boating accident caused by another’s negligence? If so, read more to learn what our attorneys can do to help you out. If you’re ready to pursue a claim, fill out our free, no-risk case evaluation form today.